According to reports from Marca, Manchester United attacker Andreas Pereira is considering staying put at Old Trafford this summer. Pereira is rated very highly by the Manchester United coaching staff and in order to aid his development as a player, the 21-year-old has been touted to leave Old Trafford on another loan spell before the end of the current transfer window. Valencia have been mentioned as the most probable destination for Pereira after he proved his worth in the Spanish La Liga last season with Granada and the transfer taking place seemed like a certainty a few days ago. 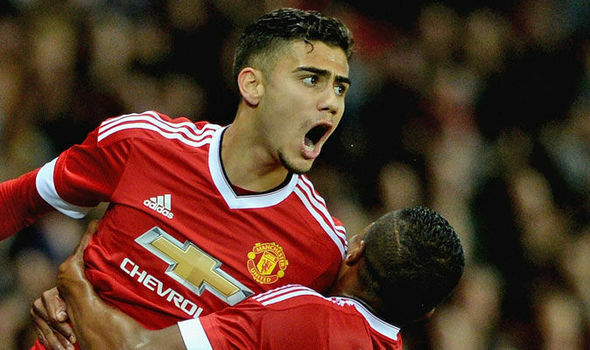 Surprisingly though, Pereira still remains a United player at the moment and it has now been claimed that the 21-year-old could well consider staying put at Old Trafford after getting frustrated with the delays in negotiations between Valencia and the Red Devils. Although Valencia chief Peter Lim has met up with United boss Jose Mourinho to agree a deal, the negotiations have not gone as smoothly as expected and now Pereira could end up staying put at Old Trafford beyond the end of the current transfer window.